It doesn’t take months and months to complete a job at Bob’s Custom paint. When we take on a project, we make steady progress to complete it on a reasonable schedule. We won’t disassemble your car then store it outside with the fenders piled on the roof while we work on someone else's car. At the start of every project, we sit down with you and build a realistic timeline for completion. Our goal is to accomplish your project in a reasonable time frame and come out with a finished product that meets our quality standards and your expectations. We start by building a custom chassis with independent suspension. We fabricate custom motor mounts to install late-model motors and transmissions. Our custom cars use power brakes with disc brakes for great stopping power. 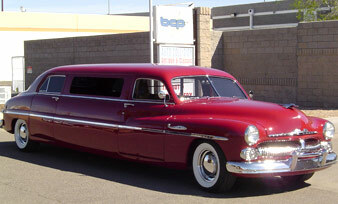 The vehicle is assembled, wired and air-conditioned, upholstered, and painted all under one roof. 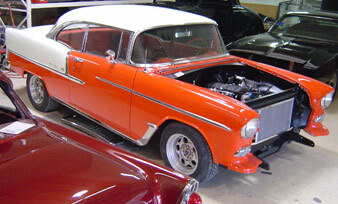 The body is repaired of all rusted panels and is smoothed of all dents and bangs acquired over the years. 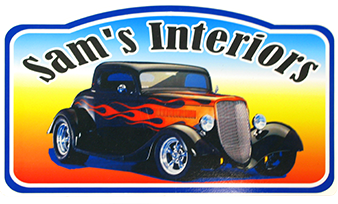 Body modifications are made depending on the vehicle and painted with top quality urethane paint. 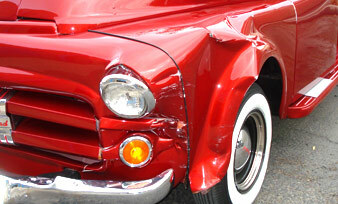 We work with all insurance companies to restore your classic or late-model vehicle back to its pre-accident condition. We will educate the insurance company, if necessary, to ensure that your vehicle is repaired quickly with the proper steps required for a perfect job. We have one of the best upholsterers in town. His attention to detail and great stitch work will make your car’s interior look amazing. Complete leather interiors are our specialty.